The Holy Rosary and the Scapular are inseparable. 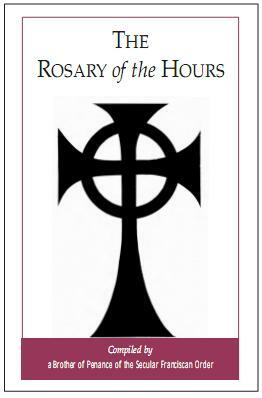 Wear a Scapular and Pray the Rosary Daily. Welcome to Our Lady's Promise - a Lay Catholic Franciscan Apostolate website devoted to Evangelization and Our Lady's gifts of the Scapular and Holy Rosary. 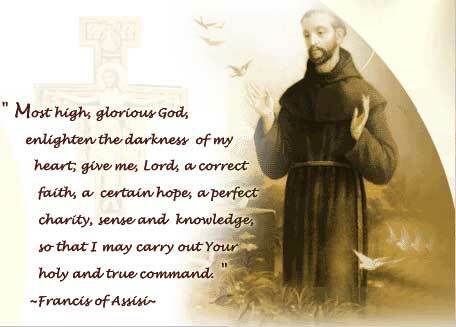 Devotion to Mary is perhaps the least known aspect of the life of St. Francis and his followers. Yet just as Mary lies at the center of the Mystery of the Incarnation and Redemption, those two great Mysteries around which the spiritual life of St. Francis and his followers revolve, so also is this august and Immaculate Queen found at the very center and principle of Franciscan Life. Did She not counsel the entire Church at Cana, saying: "Do whatever He tells you?" 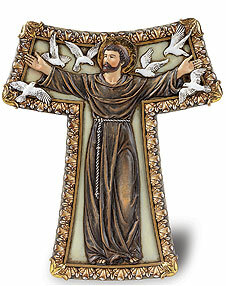 Indeed, this counsel contains exactly the form and substance of all that St. Francis strove in death and life to accomplish. Hence devotion to the Blessed Virgin Mary has been the distinguishing characteristic of Franciscans and Franciscanism throughout their long history. You are invited to explore our website to learn more about Our Lady and Her promises to us. In turn, please feel free to visit our Online Store were you can purchase items that will enrich your spiritual life. As a not for profit Apostolate, you can help support our mission by making a free will offering through PayPal by clicking on the Donation button below. Please Help Support Our Lady! 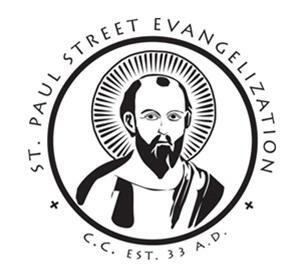 Our Lady's Promise Apostolate supports the mission and works of the Knights of Columbus the Secular Franciscan Order and St. Paul's Street Evangelization. To learn more about these organizations, visit their websites by clicking on the links above or below.